Attorney General Eric Holder said Tuesday he had removed himself from the decision to secretly seize telephone records from the Associated Press, and that the decision to seek a subpoena was made by the deputy attorney general. Jim Cole currently holds that position. 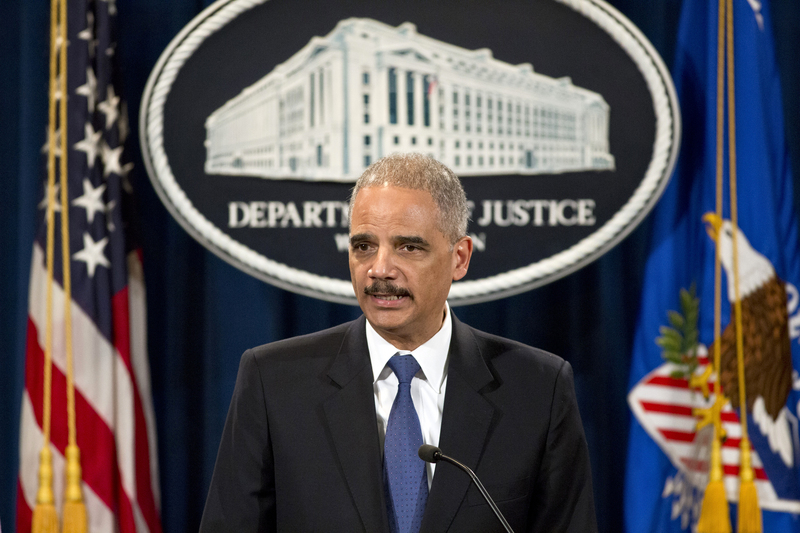 Holder recused himself because he had been interviewed by the FBI in connection with the investigation into an unauthorized disclosure of classified information, which is believed to be the reason for the secret records seizure. In a letter to the AP explaining the record seizure, Deputy Attorney General Cole defended the subpoena as "limited in both time and scope." "There was a basis to believe the numbers were associated with AP personnel involved in the reporting of classified information," Cole wrote. "The subpoenas were limited to a reasonable period of time and did not seek the content of any calls." Cole said the Justice Department did not take the decision lightly. "We strive in every case to strike the proper balance between the pub1ic's interest in the free flow of information and the pub1ic's interest in the protection of national security and effective enforcement of our criminal laws," Cole wrote. "We believe we have done so in this matter." The government has not said specifically why it sought the records. U.S. officials have previously said in public testimony that the U.S. attorney in Washington is conducting a criminal investigation into who may have leaked information contained in a May 7, 2012, AP story about a foiled terror plot. The story disclosed details of a CIA operation in Yemen that stopped an al Qaeda plot in the spring of 2012 to detonate a bomb on an airplane bound for the United States. In a press conference Tuesday, holder called the leak "among the top two or three serious leaks I've ever seen." He claimed the leak "put American people at risk" and that trying to determined how the leak happened "required aggressive action." Obama: Leakers will "suffer consequences"
Holder did not comment specifically about the subpoena that led to the AP's records being seized. Prosecutors have sought phone records from reporters before, but the seizure of records from such a wide array of AP offices, including general AP switchboards numbers and an office-wide shared fax line, is unusual and largely unprecedented. Famed Watergate journalist Carl Bernstein said on MSNBC's Morning Joe: "This administration has been terrible on this subject from the beginning. The object of it is to intimidate people who talk to reporters. This was an accident waiting to become a nuclear event and now it's happened. There's no excuse for it whatsoever. There's no reason for this investigation, especially on this scale." At Tuesday's White House press briefing, spokesman Jay Carney reiterated that the White House was not involved in the decision to seize the AP records. "I think that the president understands that a reporter needs to be shielded in the way that he supported as a senator and has supported as a president," Carney said.